Interviews, interviews, interviews… as you know, we’ve started doing them. This one has been in the making for… well, since about the time we finished the Team Meat one. Was it just that epic that it needed this much time!?!?! No… we were just lazy, and Mr. Lavigne was busy. However, it is now complete, and is as follows. If you don’t know who this wonderful person is, the first question of the interview will fix that for you. JB: Our readers are more than likely unfamiliar with your work, so to remedy that… what do you, and what is your title over at Ubisoft? JL: I design, code and make pixel art in hopes of making some indie games on my own or with some friends. And during the past year, I was game designer at Ubisoft until last week. JL: I’m impressed that you were to able notice that! Yeah, it’s one of my sprites. Officially, I was game designer on Scott Pilgrim. I was in charge of establishing the rules, features and functionalities of the game. I also had to make sure that everything was implemented “as designed,” and I had to tweak all the gameplay parameters of the game. But since we were on a very tight schedule, I had to do some pixel art as well to help the artists a bit. I only did the world map and some UI [user interface] stuff though. JB: I noticed your site’s name in the game on the walls here and there – did you sneak it in? JB: Wizorb = James + Jason = Want. What can you tell us about it? What was your motivation behind making a Breakout game? JL: While I was working on my shmup project almost 2 years ago, things were getting complicated with this game and I got to a point where I needed to work on something simpler. So I thought of taking a very simple classic game and just adding some cool theme to it. I considered a few genres, and at some point I thought of making a SonSon kind of game, but in the end I went with a Breakout game. The idea was to make something fast and not too risky, but on the technical side in order to sharpen my coding skills and go quickly through the entire process of making a game on my own. … However, Scott Pilgrim came along and spoiled my plans… But I’m back on track now! 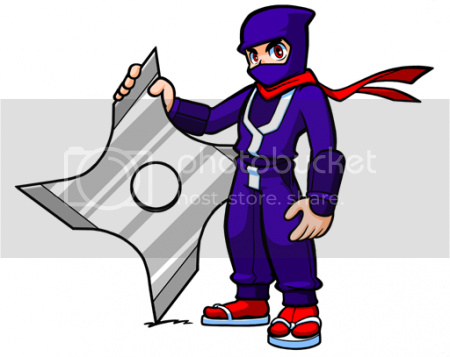 JB: Ninja Senki is under wraps in terms of how much info you want out about it, that I know. Just a few basic questions – you don’t have to answer if you don’t want. The score – is that going to hold any relevance to the game (for upgrades or unlocking secrets), or is it simply there in homage of old games? JL: It’s both. Score systems come from arcade games where you could see a high score on a particular machine and say “I want to beat this guy!” Then some console games used score systems without any actual purpose, just because it was in all arcade games. If you remember, the first Mega Man had a score system but it was totally useless. For Ninja Senki, I thought of making a score system that represents how effective you are as a ninja. So, the time spent in a level, the amount of enemies defeated, and being game over all have an impact on your score, and your score will… sorry, that’s a secret! So yeah, it’ll have some kind of relevance, and I hope that people will enjoy this. JB: Is there anything you wish you could’ve done differently with Game Maker 7? JL: Not really. I mean, no matter the tool you use to make your games, there are always things that you can improve or optimize. But Game Maker is awesome to make any kind of 2D games for PC. You really can do anything with it. JB: Is there more to the game than just the 2D platforming (maybe a world map)? 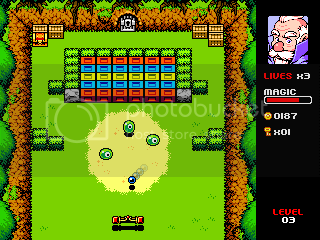 JL: Ninja Senki is paying homage to early NES games like Ninja Jajamaru Kun, so don’t expect too much wrapping around it. I wanted it to almost start directly in the action like on Atari 2600 where some games didn’t even have a title screen. Ninja Senki has one obviously, but I wanted the game to cut the crap before actual gameplay. But don’t worry, the level design and platforming elements should be a bit fancier than early NES games. JB: Do you have any advice for aspiring video game creators? James and I are going to be making games for the blog/other people – do you think Game Maker is the best choice, or do you prefer Flash/RPG Maker for different genres? JL: The first advice I would give is start with something small, because all game projects grow and become more ambitious as they progress. If you start too big, your game project has a high chance of becoming an uncontrollable monster. Ninja Senki started off being a project that I could finish in 2 week-ends… The second advice is, never give up! Concerning game making tools, I would say that it’s a personal choice. Go with what you’re most comfortable with. Game Maker is quite easy to learn and is very versatile if you learn its scripting language, but it can only deploy games for PC. Flash is also a very solid tool, but it isn’t specifically made to make games (it doesn’t have an integrated tilemap editor or level editor, for example). So you’ll have more work to do before actually getting a game to run, but then you’ll be able to release it on more platforms. And I’ve heard of RPG Maker, but I don’t know much about it. JB: Do you have any ideas for future projects (after the ones that have been announced), and if you are not afraid of sharing them, what are they? JB: Anything else you may want to get out that the general public should know about you/your games? JL: I thought that your last question was going to be “Which super power would you pick to have?”… You know, Nintendo Power asks that at the end of every interview… Anyways, I would love to have the power to alter time and be able to do more things in one day (mainly because I want to play more games). Thank you so much for your time Jonathan, you were wonderful to speak with and I hope to do another interview with you in the future. All images used in this post come from the Jonathan’s site http://pixeltao.ca/ – Fist Full of Potions holds no ownership over them. All images are linked back to their original posting article on the site.